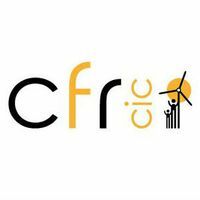 CfR is a specialist advisory company that helps local energy enterprises, local authorities and commercial developers to develop, finance and manage renewable energy generation schemes that are owned by and run for the benefit of the local community. CfR also provides strategic advice to help set up local energy enterprises and develop business models that help to reduce and localise energy spend, tackle fuel poverty and generate income to re-invest in the local community. CfR is a Community Interest Company (CIC). Any surplus made by CfR is re-invested in supporting further community energy projects. CfR was founded by a team of highly experienced renewable energy, finance and legal professionals with the support of Regen SW.
CfR can provide supplementary investment for projects which meet our investment criteria. We recover this investment through contingent fees that are only charged where projects are successful. CfR is grateful for the support of the Esmée Fairbairn Foundation, which has provided a seed loan facility.